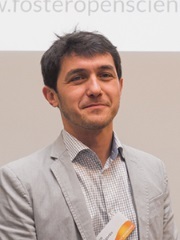 Ivo Grigorov holds a PhD in Marine Science, currently managing a portfolio of marine research projects at Denmark`s National Institute of Aquatic Resources at DTU. He advocates for applying Ocean Literacy and Open Science principles to marine & climate research, for both individual career benefit as well as institutional visibility and impact. Current lines of work include working with Graduate Schools to integrate Open Science in the Research Excellence curriculum, synergies and conflicts between Open Science and Intellectual Property Rights (IPR), and training Horizon 2020 National Contact Points (NCP) in grant proposal benefits of Open Science.